Just read a post by one of our newest members, Windwalker. asking about guides. It made me think what if perhaps we, some or all of us, have been retrieved. I find myself giving advice, help, hope, guidance in many of my experiences. To those I am helping that might make me a guide or retriever. Just looking to see what any of your thoughts might be on this. This is interesting, I have noticed and heard of a multitude of guides over the years, or rather say, a guide of multitudes, but the term of guidance is a very positive one when you realize how anything that we consider as a 'guide' to us, more often than not helps us, even pushes us to bring about that new bit of self awareness or any positive outcome that we want to bring upon ourselves. It’s like having someone that advices you to have more confidence in yourself when all you need is that little push. In that manner, I can see how you, as well as others here, act as guides one for most of us beginners. We place too much importance in guides, and forget about the people that helped to bring the experience to us. Most people here are simply awesome, if not everyone. As for the NP part of the matter, I'm sure that wherever a traveler finds himself or herself in, the experience will always show us a guide in the context of the thing that we are most comfortable with. You could totally take that perspective. In any such interactions, there is a "helper" and a "helpee"... we're all retrievers at some point in our lives. It doesn't have to be limited to the non-physical. I think all consciousness interact in many levels whether we as these characters here realize it or not. Each exchange of interaction and the received information is considered guidance, in many cases mutual if you will. We all have received guidance and have provided as well. Sometimes other parts of our spirit -higher self as we understand it) may provide information in forms of intuition, sudden thoughts, etc to show us the right direction and assist in decision making. There could be deceased loved ones providing assistance and being with us in difficult or happy important moments. There could be other beings that may be attached to each person and supply us with glimpses of knowledge. 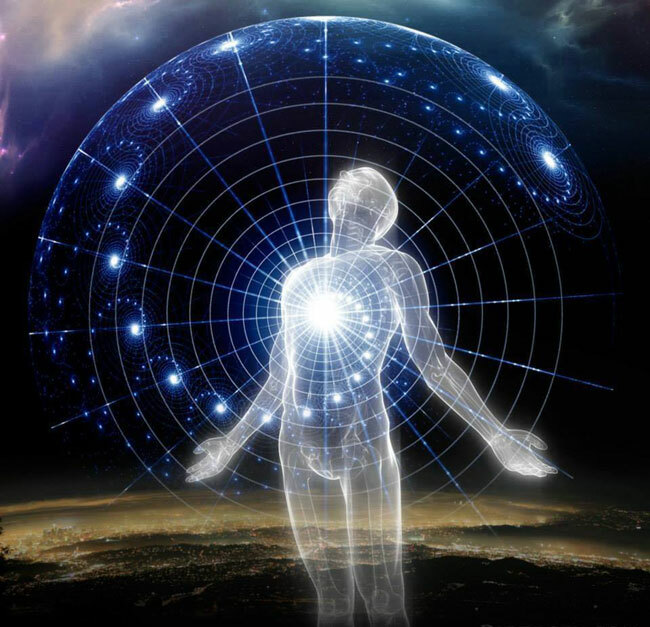 I think the possibilities are endless, but consciousness always interact in multiple levels that we here can barely really notice, however much of this interaction and knowledge are received and used throughout our journeys and we perceive it as growth and evolution . When I helped spirits in the astral, I may have appeared as an angel to them LOL, I don't know. All I know is that if you ask and listen in stillness, you will receive your answer one way or another, sooner or later. Even if you don't ask, just through experience and interactions we all grow, but I have noticed that if I really want to know something, rather than forgetting about it and going with the flow, if I focus and apply some effort to think about it for a while and during deep meditation focus on this question, I always receive an answer most times in form of strong intuition and thoughts, or signs and symbols even here in the physical. Excellent responses here and I appreciate every one of them. I like that term Rakkso, "a guide of multitudes". Seems to almost perfectly explain something with so many layers. As always Xanth you're clever as ever. It doesn't always have to be NP , or P for that matter. I've no doubt LightBeam I would consider you an angel if I ran into you NP. Now the question is good angel or bad angel, hahaha. Agreed with the excellent comments and perspective. But isn’t the concept of being part of the “Universal Whole” , the Source...doesn’t that possibly imply that we as individuals are part of a greater being, like cells in a body? It seriously impacts my idea of individuality in the sense that my independence is challenged. It is a paradox, a conflict. I want to belong and yet I also want my individuality. Maybe, somehow, enlightenment brings both. The “aspects” that we are retrieving are various, small, lost parts of our different “selves” that have become adrift in this vast realm of consciousness. They are needed for completion, for closure. It is a collection effort, and in that effort is included the learning and “guidance” that is excellently referenced in a parallel thread. Bad to the bone baby!! Great point, EV! I too am getting more and more clear about the oneness, that we are all one at the end, just experiencing individuality for the purpose of simultaneous diverse experiences and keep All That Is (including what we perceive as the individual us) in a state of becoming and ever evolving. Since I am understanding more this concept, I am beginning to discard the perception of superiority. No one is superior in any way to another. For example a doctor vs a trash collector. They are all equally important to the experience and received knowledge that adds to All That Is and to each and everyone of us as individuals if you will, because we are all connected, although we cant consciously perceive it and comprehend it as human characters. Even those individuals that we perceive are destroying and not adding, this to me is a false perception, because this experience is too necessary in order to understand Love and Light. When I helped spirits in the astral, I may have appeared as an angel to them LOL, I don't know. All I know is that if you ask and listen in stillness, you will receive your answer one way or another, sooner or later. Even if you don't ask, just through experience and interactions we all grow, but I have noticed that if I really want to know something, rather than forgetting about it and going with the flow, if I focus and apply some effort to think about it for a while and during deep meditation focus on this question, I always receive an answer most times in form of strong intuition and thoughts, or signs and symbols even here in the physical. I find that is quite amazing, it doesn’t come as easy to me. I find the recalling varies with my lucidity.Man it’s like difficult to become aware without a powerful angle to the experience. I am more often than not left disconcerted and confused BY my own intuition. Lol. I may need a special appointment with you one of these days. Lol. Seems to almost perfectly explain something with so many layers. Yes indeed. It makes you wish for someone to give you a machete so you can go cutting through all of them Indiana Jones style. Why are you discomforted by it? Is it some sort of overwhelming unending feeling to quest for ourselves in the astral that causes this? Something else? I am only beginning to see the true nature of myself there, as a group so far it is quite beautiful to admire, it is not like one would need a shield to protect you from formlessness. In which case I doubt and formless formlessness goes there. Ever mastering itself, ever expanding itself, ever changing itself, becoming itself again. Perhaps if you think of it as the great wheel of eternity it does start to scare. Enlightening must surely bring both, if we abide by the law as the basic principle of all. This should occur in ALL planes, manifesting itself as all sorts of ways possible, without exception. I get the retrieval thing now. Before I came here I had never entertained the concept of retrieving pieces of ourselves and still I'm not certain about that. Maybe it's not so much retrieving as recognizing and understanding. On the one hand who wants to loose their individuality. On the other hand it's wonderful to be part of the big picture. I'm learning we can be both whenever we want. Agreed to both! I love playing around 'down here' but more and more I just want to return home and see the big picture. I wish I could just make all the negative thoughts just disappear forever but they are tenacious little bastards. They must have a purpose beyond just learning how to get rid of them. Or perhaps that just me justifying my failures. Nameless, those negative thoughts I think are a result of our human nature, survival instinct and the way we perceive logic. When I catch myself thinking negatively, like a worst scenario of something, I imagine this scenario in a form of a painting on a glass and punch that glass. It shatters in many pieces and that way, I have destroyed that possibility. Then I replace it with the best case scenario, because logically any scenario is possible, but most likely what we hold our attention to may result in some sort of manifestation closest to what we are thinking. So, try to replace them immediately and destroy them in whatever way you find to be fun. Also Wayne Dyer said to replace the fear with curiosity. Meaning you should be curious why are you afraid or thinking these thoughts, and this most likely will lead you to an answer of what you should be working on. Perhaps letting go of something in the past, letting go of something negative you perceive in someone or yourself. My greatest latest discovery is forgiveness to everyone and yourself. Even those who do not realize they are hurting you. Make a list of anyone in the past and present that have even in the slightest offended you in any way. Forgive sincerely and you will free yourself of soooooo much negativity. Sometimes we are not even aware that we have stored negativity by past hurt that we have forgotten. But it is actually still within us. I have thought now of so many people going back from kindergarten. Hundreds of people so far I have forgiven and continue to do so on a weekly basis. This has become such a reflex, that even if something happen in the moment, I immediately say I forgive you. Although this is very rare, I no longer encounter confrontational situations with anyone even strangers on the street that you interact in one way or another. I don't even have people cutting me off on the freeway anymore. I think I have freed myself from automatic negative thinking about people and nothing negative happens anymore, only pleasant a=encounters. I've always drawn out those negative scenarios and then just a big fat red X over them. But apparently I do still have some deep-seated stuff going on. Problem for me is I almost never feel slighted by others. But I feel guilt every time I don't help. It's ridiculous as I know the only person putting that weight on me is me. But gosh darn it I feel guilty if I don't stop and put the turtle off the side of the road, pick up road-side trash and clean my neighbors house for them and fix every body's everything. Now I don't do those things (who honestly could) BUT I feel guilty for not doing them. If I could get to the root of why I feel personally responsible for everything I might have a chance. And now I'm thinking this thread has been thrown way off course. Then I look at the title and think - maybe I am the one in need of being retrieved. Thanks guys, sorry for unloading. Your responses can sometimes hit a nerve. I mean that in a good way though as if it is hitting that hard then something needs to give. Okay, I'll shut up now. I felt sort of the same way, Nameless last year. I felt that if I had so much power to help others and help the world I should, and I had the strong desire. I also felt guilt if I heard of someone sick and not trying with all my energy to heal them, or to try to stop the crazy politicians destroy the world. I didn't understand why so much pain is needed to a point of brutality. Cant we grow without so much of it. Well, my body gave in one day and couldn't handle all that energy I was either spending or attracting. I don't know what happened, but I got very sick. Doctors couldn't tell what exactly was wrong. All tests came back negative, yet I felt physically and mentally very ill. I realized that I must have gotten my energies way out of wack due to the strong emotions preceding the event and the numerous energy work. I learned so much from this happening, and the more realizations I made about why everything is they way it is, the better my health was getting. I realized I needed to ground myself and stay away from AP for a while. I realized that everyone carry their burden the way they have set them up and I was trying to interfere and stop their challenges. Now, I help of course, but only if someone is asking, meaning they are ready to receive and they are seeking help. If they seem far from their lesson, I cant try to stop their learning. Even if I succeeded it would be temporary and another similar event will repeat in their lives again. And even though deep down I knew all this, I was preaching it here long ago, yet sometimes I wondered is this excessive pain and tragedies many people around the world experience really necessary. Now, I am at piece and I have completely understood it and have let go of so much pain from my past that I did not understand, including the passing of my dad. If I had the power to resurrect him, I would, but I realized he would be yelling from above, "Nooooooo, it's so cool here, you want to bring me back to hell" LOL. After all, this is just a game, so I continue playing it, just a lot more chilled and care free. I had also contemplated this. Could we be the ones that are being "retrieved"? Could that be why we have become aware? I see that many people that come to this Forum have some kind of mental anguish, in the form of distress, anxiety, fright, depression, grief, or trauma. Could this be the reason that the Astral has consciously knocked on our doors? Could it be a form of healing? I know it can be used for that. Thanks for sharing that LightBeam. Although intellectually I know it's not my place to solve the worlds ills and can usually keep those feelings at bay. Other times it just gets overwhelming and I feel so inadequate. Then I feel guilty for even entertaining the idea that I could solve them. I can definitely see your dad along my mom screaming NO! My grandmother would likely hit me over the head with a wet mop like she did in life, LOL. Oh man, I think it's possible. If so we can only hope it gets better as we gain more awareness and experience. We've shared some of our healing experiences before so that does seem a likely part of it all. Didn't know I was so broken.